I created a new Smart Folder with the Kind is Document filter. I then sorted by Date Last Opened and saved the search as Recents. Q: How do I revert this? It looks like the smart folder distributed with macOS is located at /System/Library/CoreServices/Finder.app/Contents/Resources/MyLibraries/myDocuments.cannedSearch. In Finder it's shown as Recents, even though the file on disk is called myDocuments.cannedSearch. I don't really know where to look now to make this change in a way that won't break Finder. 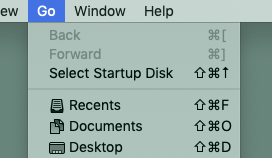 You did not tag an OS version, but MacOS Mojave ships by default with a Recents folder in the Finder sidebar and Go menu. There is by default no All My Files folder now. You have not overwritten anything. Not the answer you're looking for? 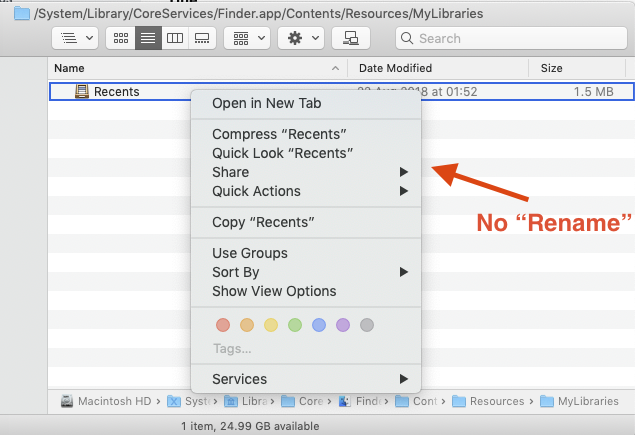 Browse other questions tagged macos finder mojave smart-folders . 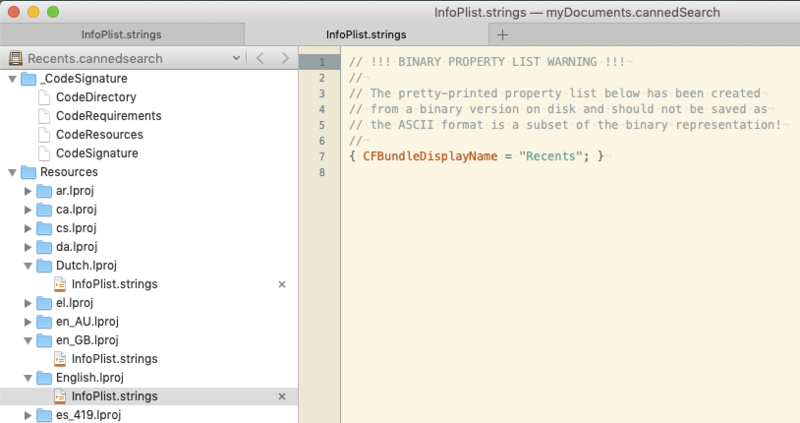 Is there a Mac equivalent to Windows 7's library feature? Smart Folder: how to create listing of all files in a folder? Why are regular Folders in Smart Folders not showing up in Open File dialogs? App that does not support Smart Folders / Tags - how to access Tags/Smart Folders via Terminal or elsewhere? Where is the folder icon of dark mode located?